Crystals look great when worn as jewelry and for decoration, but did you know that they can help in much deeper ways than just accessorizing? These ancient minerals have physical and vibrational properties that can help our minds and bodies heal, while keeping us connected to the energy of the earth and spirit. And they are easy enough for anyone to work with, so don’t be intimidated! These colorful and vibrant beauties have been shown to have many benefits when incorporated into everyday life. 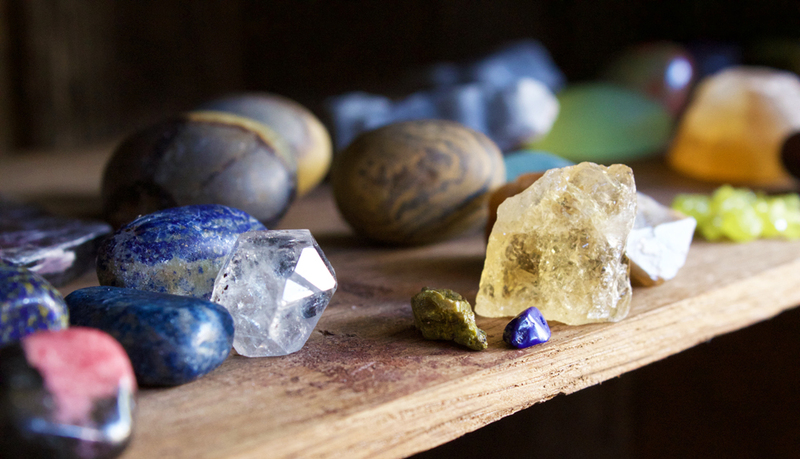 Use these helpful ways to begin your crystal healing practice. Drink water infused with crystals. If you use a water filter or a water jug, drop a clean crystal into the jar and let it sit overnight. Drinking this water will let you absorb the properties of the stone, and some crystals like shungite are even known to help cleanse and purify the water. 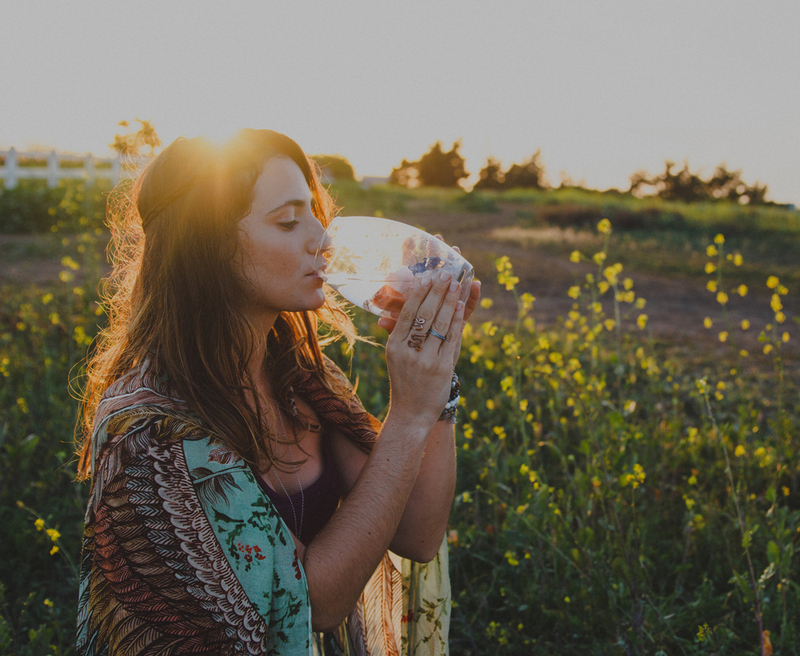 Not all crystals are safe for drinking water though, so unless you want to do a little research first, stick to some basic recommendations: clear quartz, amethyst, carnelian or rose quartz. Place crystals around the home. Set raw chunks of crystals around your home in places that could use an extra dose of positive energy. Pick ones that soothe you for your living room and others for your bedroom. There you can place them on your nightstand, or even underneath your pillow. Try smoky quartz, which is known to draw out negative energy and may even help with nightmares. You can also create a crystal grid in the corners of your room! Use crystals to Block harmful EMF’s. All of the electronics in our homes and offices (as well as the cellphones in our back pockets) are emitting electromagnetic frequencies. Although you may not notice the affects of this low-level radiation, reducing EMF exposure has been shown to improve the quality of the human aura/energy field and can relieve some nagging symptoms like fatigue and aches and pains. Try using stones like pyrite, magnetite and black tourmaline around computers, offices, and while traveling through airports. 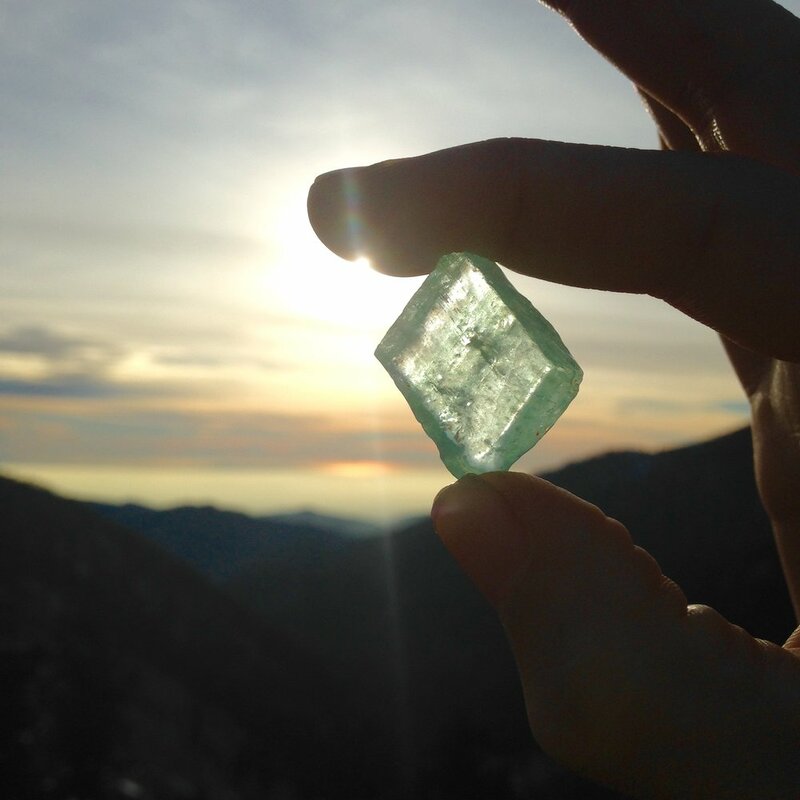 Carry around a personal crystal. Placing a crystal inside a pocket, or even a bra is an easy way to wear it around as well as change it out everyday. This is a fun way to practice listening to your inner voice too. Once you’ve collected a few small crystals you can use your intuition to choose a new "companion" crystal when you start each day. By asking which crystal will help guide you through the day, and waiting to see which one grabs your attention, you’ll start to carve out the relationship between you and your stones. Although the world of crystal work goes far more in depth, this is an easy way to start bringing the healing light of these beauties into your life. Most importantly, always listen to your intuition when it comes to stones. Since each one of us is so unique in our energetic composition, we all react differently to the vibrations of our surroundings. Do what feels best, and use these magical minerals to start building up your inner voice. It will always lead you in the right direction. Sara is the Chief Sorceress and co-creator at Gemstone Organic, a Los Angeles-based skin care brand changing the way we see and heal our bodies. She has been working with gemstones in many capacities over the last five years and loves to incorporate them into her lifestyle, which includes several different healing modalities. She is the founder of the Radically Holistic Beauty movement, a progression towards achieving inner balance to bring out the essence and radiance of your most beautiful self. Connect with her on her blog.